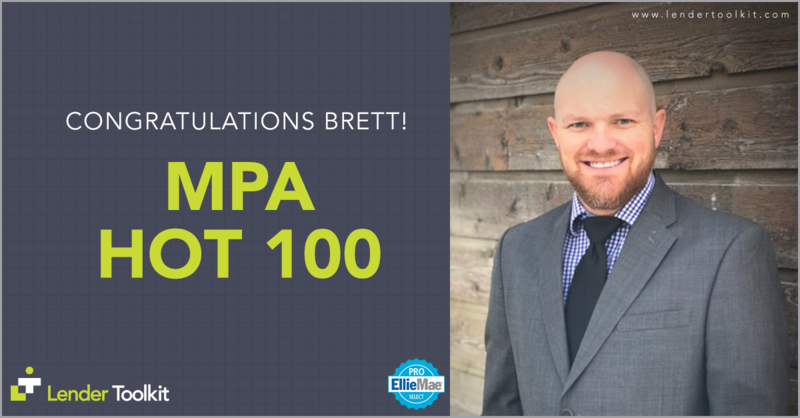 Lender Toolkit is proud of our own Brett Brumley for being named to Mortgage Professional America 2018 Top 100 List. Brett is honored to be included with such a prestigious group of individuals who are advancing the mortgage industry. Read the full article here.